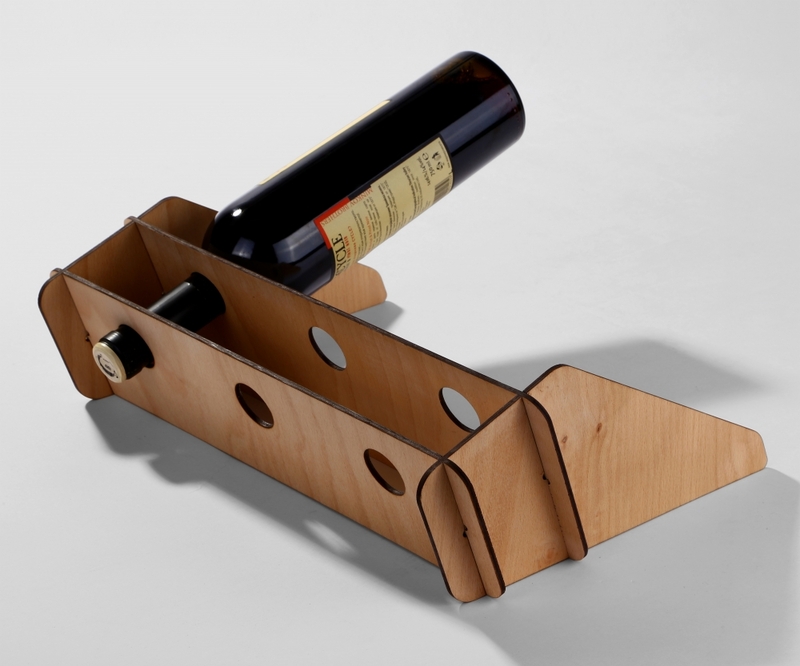 The wine bottle holder for 3 bottles is a puzzle construction that consists of four elements, positioned in a specific way, which interlock towards each other under the weight of the bottles. The exact angle of 20% at which the bottles stay responds to the sommelier standards. 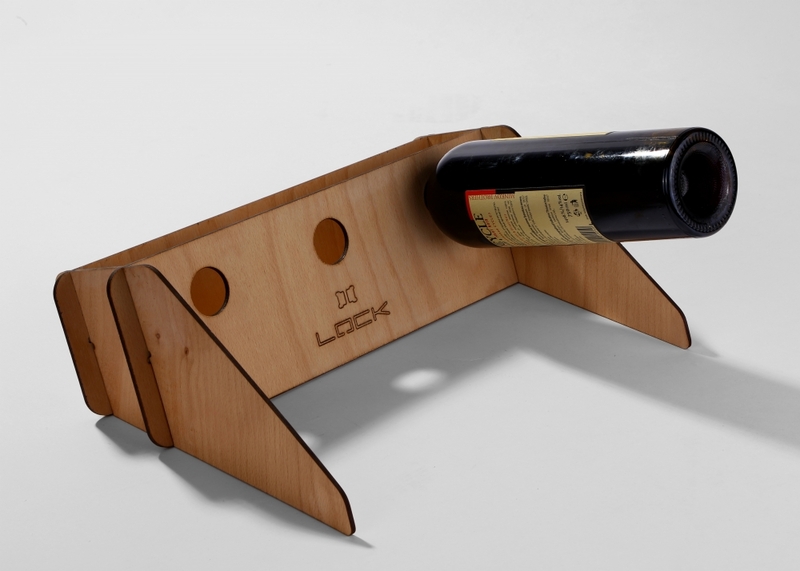 The shape of the wine holder together with the bottle reminds of ancient sea cannon.